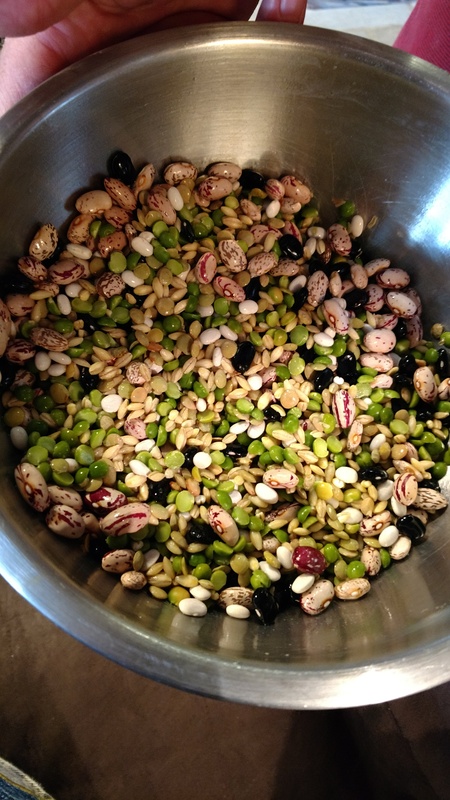 Eating healthy for long-term RV travels. We have found that cooking from inside the RV has been a new and challenging thing to figure out for life on the road. 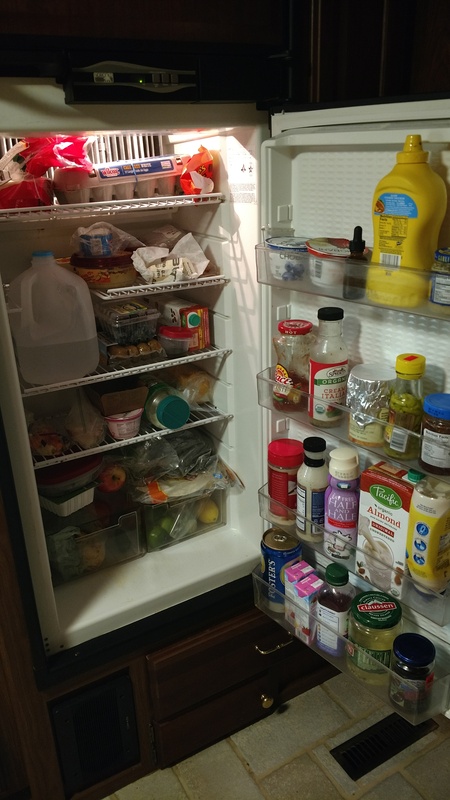 What’s in our fridge? 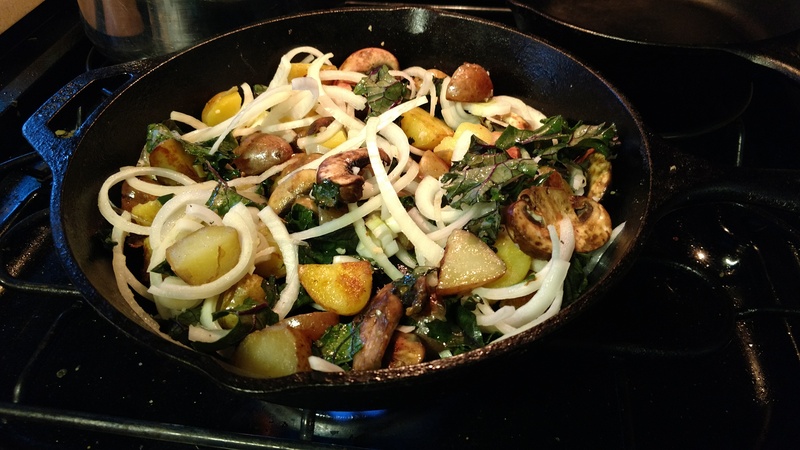 Boiled then stir fried potatoes with fresh cut onions jalapenos mushrooms and garlic with some kale thrown in the mix. 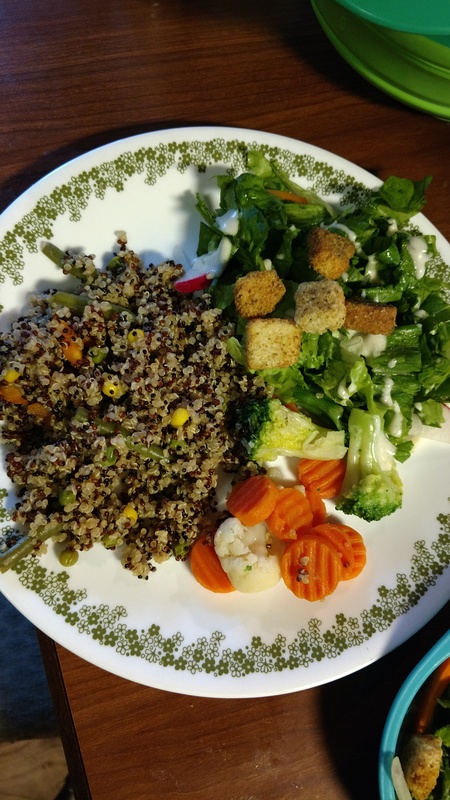 This was a salad made from locally-grown romaine, quinoa made with vegetable bullion, and a side of veggies. Flax seed sprinkled in. Low carb. Super healthy. 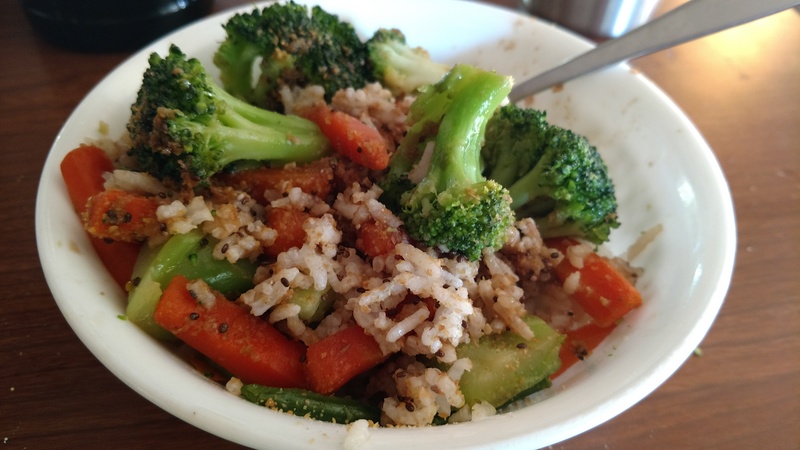 This was stir fried rice with veggies. Option for sriracha and soy sauce. We routinely make polenta now that anikka loves it. 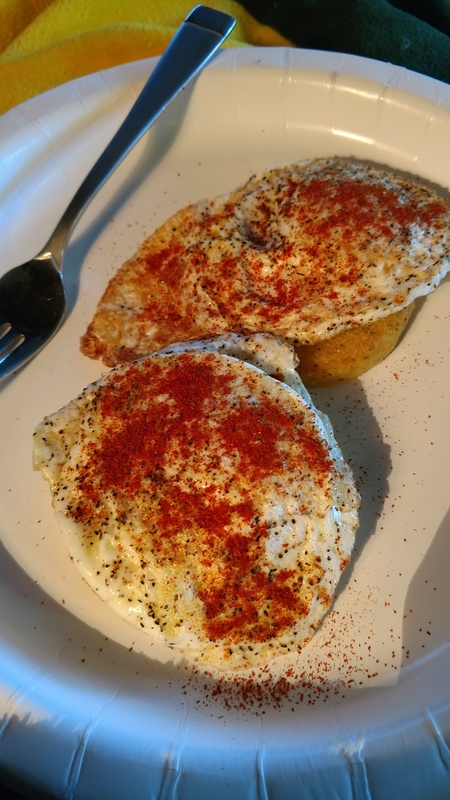 We top with fried eggs and cayenne. 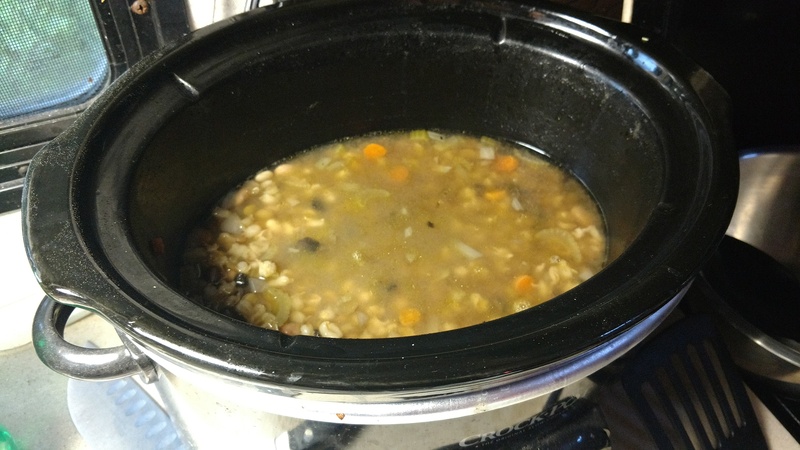 Another favorite was this awesome 7-bean soup. We actually purchased this as a homemade packet from a local grocery in Beaumont. The flavour was REALLY savory and delicious. It didn’t last long. 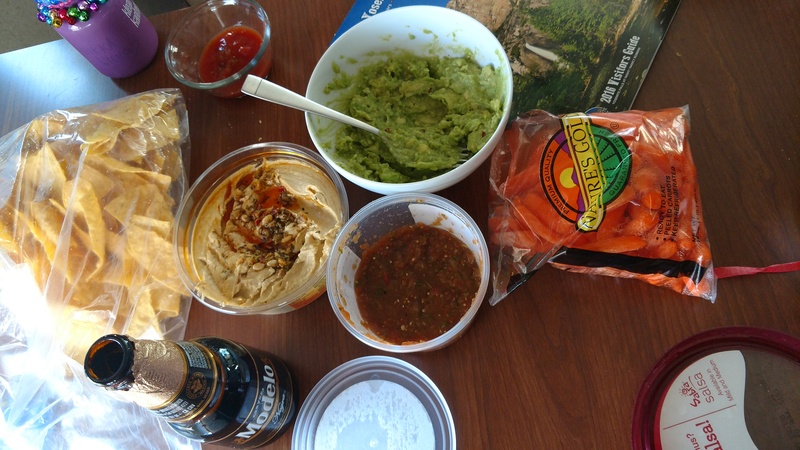 So as you can see we really try hard to eat healthy and keep everybody going with lots of good energy. We definitely do the occasional popsicle ice cream or chocolate but not much of that. Most of us have a salt tooth more than a sweet tooth LOL but we’re getting much better at cooking and more efficient at it as well. Doing dishes as a breeze so the kitchen has always been clean and Scott and I like to keep the place tidy anyhow. I’ll post more fun meals we make soon!